A useful addition to the party bag, crayons, pencils, erasers, party books. Add these party bag fillers to your party bags. 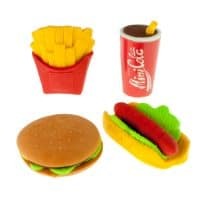 A great range of party fillers from PartyBits2008.